We’ve been celebrating the NickerNews and BestHorsePractices community with guest columns and photo albums dedicated to our readers and their equines. Let’s do something with these inspirations. 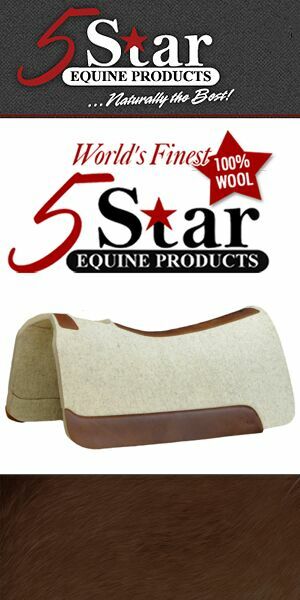 Let’s use them to boost our own horsemanship goals. Credit goes to Debbie Hight, Rob Rowbottom, Randy Rieman and Joe Wolter. With actions and comments, they’ve motivated me to set real goals and hold myself accountable this year. Debbie and Rob are working with Postcard Jack, Maine’s most winning harness racer. Read more here. Clinicians Randy and Joe urge riders to constantly challenge themselves and step outside comfort zones. Read more about Rieman here and Wolter here. 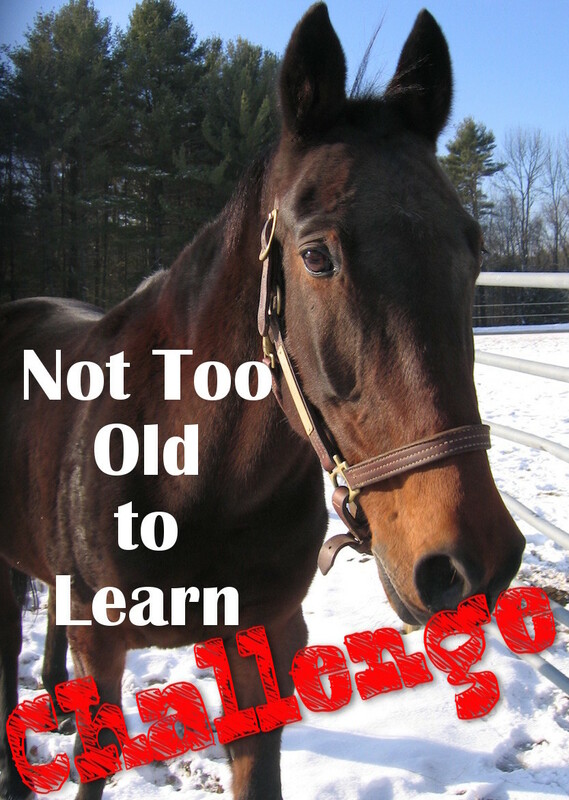 Welcome to the Not Too Old to Learn Challenge! I have two goals: to horse pack in the backcountry and to compete in the Impact of the Horse, a versatility-type event to benefit mustangs, held annually in Heber City, Utah. 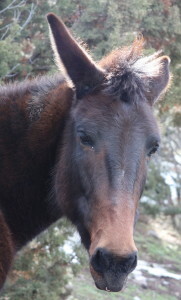 I’d like to bring Jolene, who would be the first mule ever to compete. It’ll be quite a challenge. She’s a tough nut to crack and I’m just your average rider, with next-to-no formal education. Read more about Jolene here. In other to accomplish the Challenge, I’m breaking down necessary steps. 2. Set small, incremental goals. Neither of us feel comfortable in arena settings, for instance, so we’ll visit arenas regularly. 3. Assess strengths and weaknesses (like the aforementioned nervousness in public settings). 4. Find support when needed. I expect to ask Steve Peters regularly for insight on training hurdles. My friend, Raechel Nelson, has agreed to the Challenge, too. 5. When things go sideways, just say it’s OK. To be challenged is to win. I’m fine with things not going as anticipated, as long as I try my best. 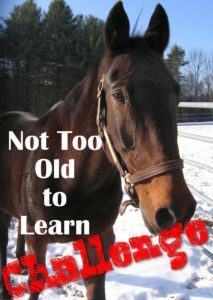 Consider hitching your wagon to the Not Too Old to Learn Challenge. Throughout the year, we’ll be staying in touch and profiling readers as they work through their Challenges. Posted in BestHorsePractices, Horsemen & Women and tagged Impact of the Horse, Joe Wolter, Not Too Old Challenge, Randy Rieman.